There must never be another Waco. On April 19, 1993, President Bill Clinton sent tanks and other military equipment to capture the compound of a doomsday religious cult. During the confrontation, a fire started that resulted in the deaths of 80 people, including many children. Since that massacre thirteen years ago last week, the images of the burning compound have served as a reminder of the need to limit federal power. Whether the Branch Davidians committed suicide (which is what probably happened) or whether the fire was a result of some combination of factors in the armed assault on the compound, a finger of blame can be pointed at David Koresh. As I said last year, there is little doubt that Koresh was an evil man. However, the federal government also bears a great deal of blame for the Waco tragedy for jumping the gun and storming the compound. I drew a comparison last year between the argument put forth by opponents of both wars with Iraq that we should have waited before going to war and arguments that the federal government should have waited longer before storming the compound. If it is important to show restraint when going to war with a foreign power, how much more important is it for the federal government to show restraint when dealing with its own citizens? This is especially important when those citizens are part of a doomsday religious cult and would welcome a confrontation where they can martyr themselves. We must not forget that there were many children in the compound who died that day. Arguing that it was necessary to invade Iraq three years ago and arguing that the federal government should have waited as long as necessary to ensure a peaceful solution to the Waco standoff are not inconsistent positions. After all, whatever alleged crimes had been committed by David Koresh and his cult, they were civilians. They were United States citizens who deserved the same right to be presumed innocent until proven guilty that everyone else enjoys. I vehemently disagree with arguments that the raid was necessary to stop Koresh from allegedly molesting women and girls inside the compound. As the cliché goes, hindsight is 20/20, but the results of the raid were far worse than allowing what may have been happening inside to continue. 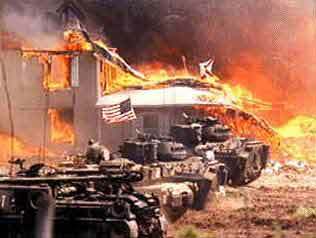 It has been argued that The Branch Davidians would have torched and blown up their own compound even if there had been no raid. Whether it would have happened anyway or not, it is wrong to use military equipment against American citizens. 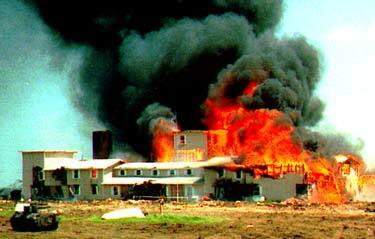 The Branch Davidians were not an invading army or a foreign power. They were civilians. Even if it was a no-win situation, the federal government still has blood on its hands. 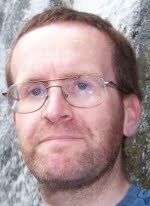 It is entirely possible that the standoff could have been avoided had it not been for the badly botched raid on February 28. Attempting to storm the compound was a major mistake that instigated a shootout in which several federal agents died. Had federal agents not tried to break into the compound like a paramilitary unit, there may have been no firefight. The Branch Davidians may well have still used force to resist a civilized attempt at arrest or inspection, but that attempt should have been made instead of going to an armed raid. None of this means that law enforcement does not have a legitimate right to use force, including deadly force, to stop criminals, apprehend suspects and/or keep suspects from escaping. I have never argued for complete non-violence by federal law enforcement agents. What we saw in Waco was excessive force that cannot be tolerated, especially when it is done by the federal government. Thirteen years after the Waco massacre, the pictures, videos and (most importantly) the lost lives stand as an example of a federal government that abused its power. If we value our civil liberties, our response to Waco must continue to be "never again".